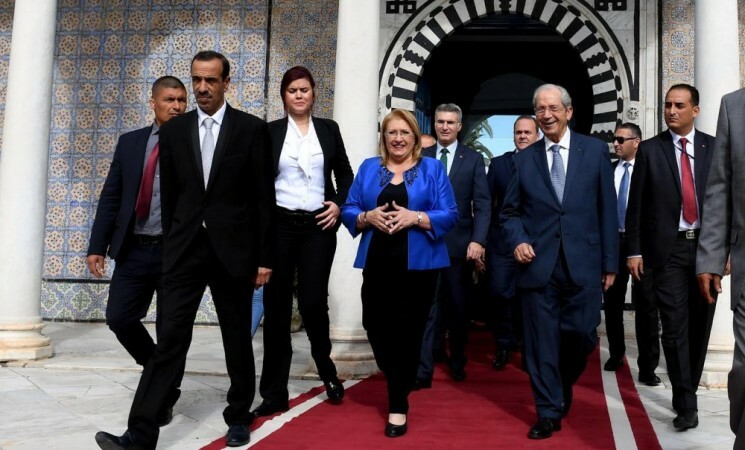 President Marie-Louise Coleiro Preca has begun a three day visit to Tunisia, to commemorate the 50th anniversary of bilateral relations between the two neighbouring countries which are both in the Mediterranean, but on different continents. The Maltese delegation arrived at Tunis airport, where the Maltese President was met by the Foreign Affairs Minister of Tunisia, Kheamaies Jhinaoui. 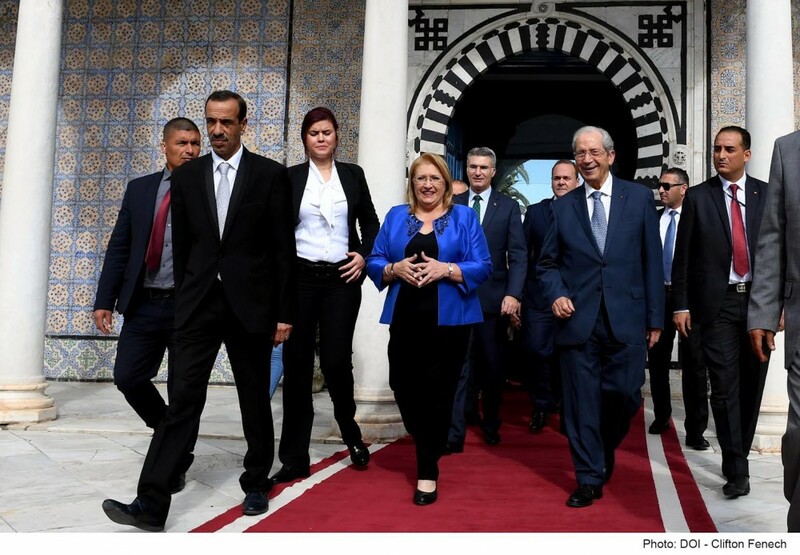 President Coleiro Preca is accompanied by the Foreign Affairs Minister Carmelo Abela, Investment and Economic Affairs Minister Chris Cardona and a trade delegation made up of 22 Maltese businessmen. The industries being represented include the construction industry, logistics, legal services, IT and the maritime and tourism sectors. The President will be holding talks with President Beji Caid Essebsi at the Presidential Palace and with the Prime Minister, Youssef Chahed. She will also be addressing a business forum which is intended to bring together businessmen from the two countries to explore new trade opportunities to build on what already exists. The President will also be meeting with Maltese people who live in Tunisia. The aim of the official visit is intended to strengthen the bilateral relations between the two countries. Among other things, an memorandum of understanding is expected to be signed for more co-operation between Malta and Tunisia in the tourism sector.